In response to the legislature adopted in 1997, in which Arizona decided that candidates needed to be able to pass knowledge tests, both professional and subject-oriented, Arizona developed the Arizona Educator Proficiency Assessments, or AEPA, exams. In addition to the AEPA tests, Arizona also requires candidates to pass an examination on the Constitution of the United States as well as the Constitution of Arizona. 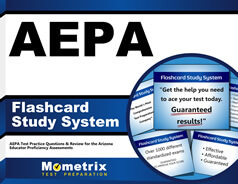 The AEPA exams are a group of tests that cover a variety of subjects. These subjects are the same as classes you would find in an Arizona school. From the general subjects like English, Math, and History; to the more specific topics like Dance, Earth Science, and Theatre. The tests come in a variety of formats though most are around 150 multiple-choice questions, and typically have three hour time limits. These tests perform excellently to determine the skills and knowledge of prospective teachers. The AEPA tests also ensure that the other professional positions of the school are being held by people that are certified and knowledgeable in their field. Positions such as the principal, as well as other correlating positions. 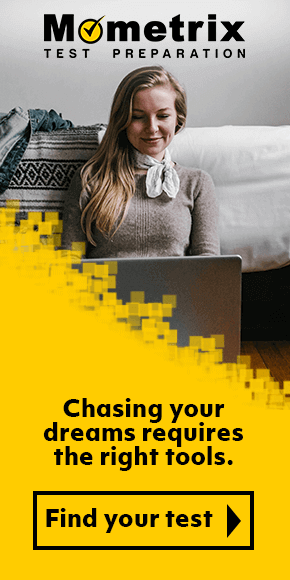 Due to the important nature of these exams, they have been created to be a challenge. We at Mometrix have created a group of practice questions to help you pass the AEPA exam and start the next chapter of your life! 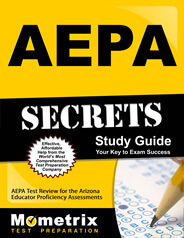 Use the free AEPA practice test questions below to get a better understanding of the AEPA exam. Take advantage of this valuable resource to pinpoint your strengths and weaknesses. Use the free NES test (Arizona) questions below to get a better understanding of the NES test. Take advantage of this valuable resource to pinpoint your NES exam strengths and weaknesses. Mometrix Academy is a completely free resource provided by Mometrix Test Preparation. 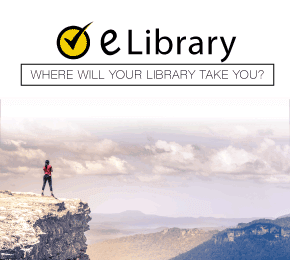 If you find benefit from our efforts here, check out our premium quality AEPA study guide to take your studying to the next level. Just click the AEPA study guide link below. Your purchase also helps us make even more great, free content for test-takers.